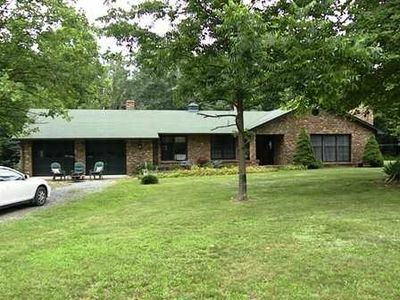 “A Majestic View” is a large vacation cabin in Shenandoah Gap near Luray, Virginia. 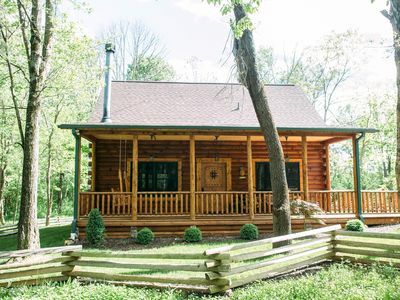 This four bedroom log cabin is perfect for large groups as it will sleep up to 11 people comfortably – and welcomes your furry friends, too! 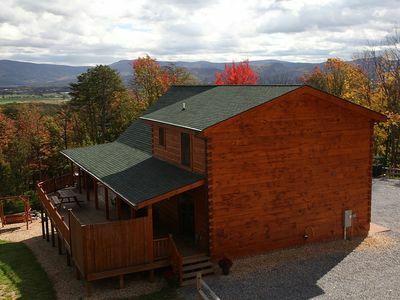 This cabin provides seclusion in a mountain setting, with panoramic views of the Shenandoah Valley and the mountains. 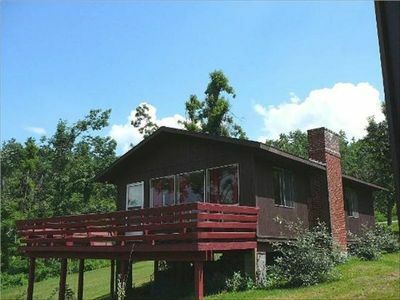 The Massanutten Four Seasons Ski Resort is close by - in fact the ski slopes can be seen in the distance from the cabin windows! 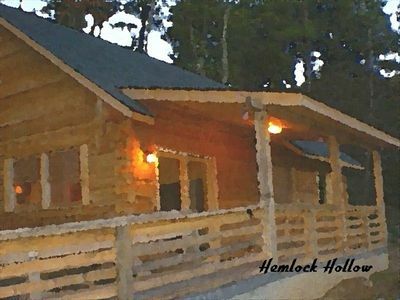 You will enjoy its location high up on the mountain with its “Million Dollar Views” as well as the private river access at the foot of the mountain for picnicking, swimming, tubing, canoeing, kayaking, or fishing. 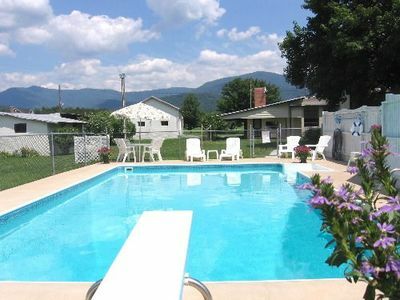 Come to relax and enjoy the spectacular view of the mountains and valley. 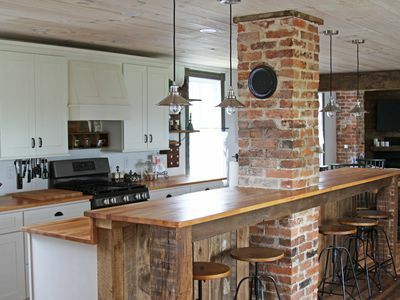 You can enjoy your meals prepared on the outdoor barbecue grill, and eat outside on the open deck while watching the gorgeous sunset over the mountains. 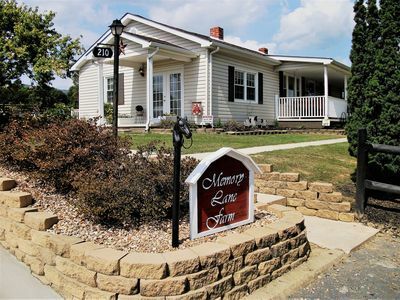 You can spend your days relaxing on one of the three decks with a cup of coffee and a good book, or by visiting some of the many nearby attractions. 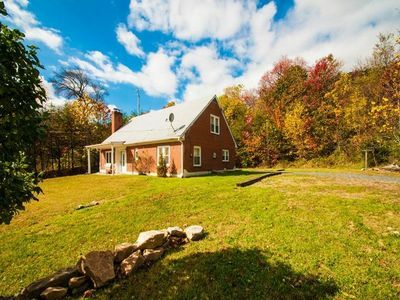 In the evening, you can light a fire in the fire pit and look at the twinkling lights all over the valley or view the twinkling stars through the telescope provided for you. Inside the cabin everything is decorated with beauty and comfort in mind. 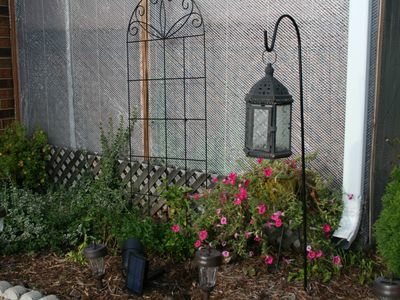 It is a cozy, soothing place to relax and have fun. Board games, CD’s, books, and an IPOD docking station have been provided for your enjoyment. The lower level contains the Game Room complete with a Pool Table, an Air Hockey Table, and wall-mounted TV. Also downstairs, one bedroom is furnished with a Queen bed, two bedrooms are furnished with Full beds, and then another bedroom has a Bunk Bed (Full bed at bottom of bunk) and a Twin bed that also has a Trundle. There are two full baths downstairs. 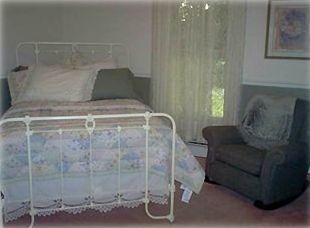 Linens are provided for your use. 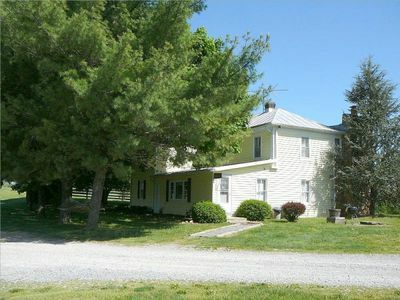 The laundry room is also on the first floor. 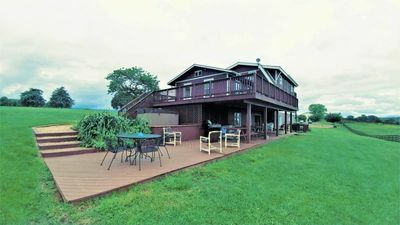 On the second floor is a spacious Great Room with a reclining loveseat and sofa, a gas log fireplace, a 42' LCD television with satellite TV, a DVD player (BluRay), an open dining room with a HUGE fully equipped kitchen, another full bathroom, and even more of those million dollar views! 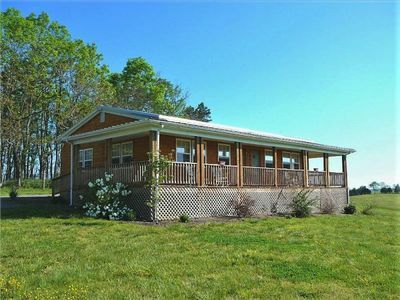 A gas grill is located on the large deck as well as Adirondack chairs, and a picnic table. The views are simply amazing here! 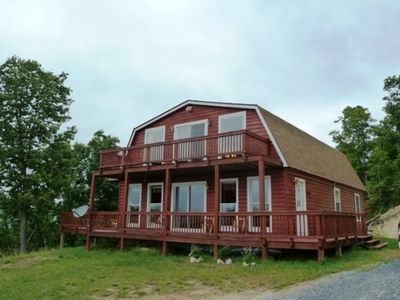 Our cabin is located less than 17 miles south of Luray off of Grove Hill River Road. 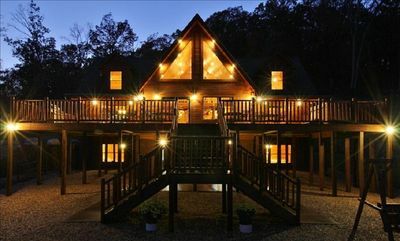 It is also less than 17 miles from the Massanutten Four Seasons Ski Resort. 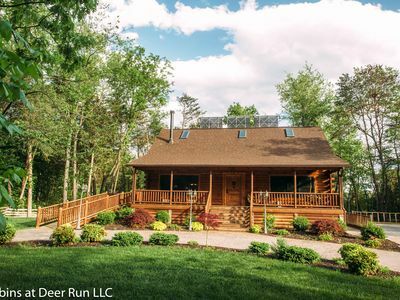 The cabin is within a convenient drive to many of the area attractions such as Luray Caverns, the Maze at Luray Caverns, the gorgeous Skyline Drive (Shenandoah National Park), Blue Ridge Parkway, the Massanutten Four Seasons Ski Resort and Bryce Ski Resort. 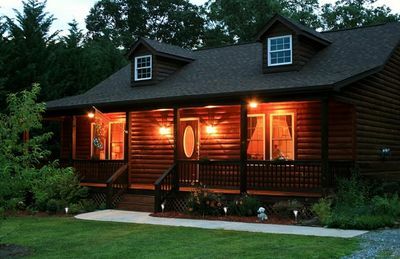 Other popular activities include swimming, fishing, boating, canoeing, kayaking, tubing, vineyards/wine tours, antique and/or gift shopping, mountain biking, hiking, spas, water parks, ATV rides, jet skiing, snow skiing, snowboarding, horseback riding, golf, a Rescue Zoo, touring Civil War Battlefields and monuments, museums, sports events, festivals, and so much more! There are many great fine dining or casual restaurants in the area. 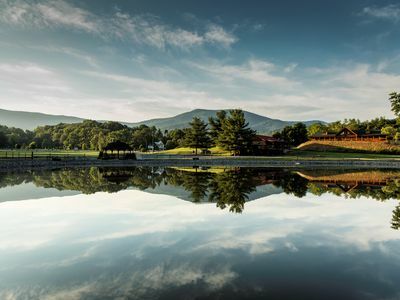 Whether you're looking for the perfect stress-free getaway, an adventurous vacation or a get together with family or friends, “A Majestic View” is the place for you! WOW-SUCH A DELIGHT!! best describes your experience at The Miller House.